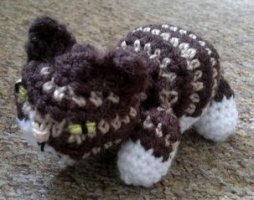 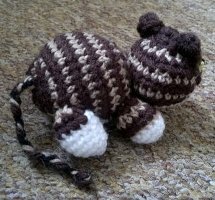 A very cute little striped cat - I had to put two pictures in this time, because I love her little tail! 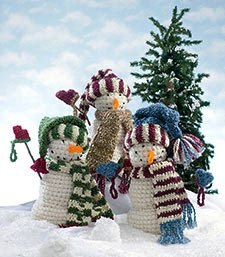 14-inch-tall tall snowmen, complete with caps, scarves and mittens. 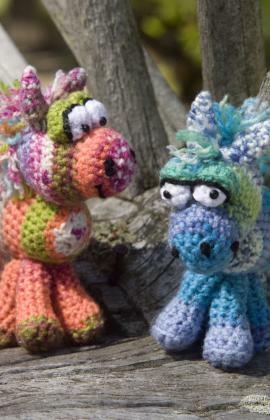 Those are the strangest ponies I've ever seen.